In a May 2014 posting we reported that the Chairman of the FCC, former Comcast lobbyist Tom Wheeler, was going to end net neutrality, and allow ISPs to treat different net content providers differently and to charge them different rates—-essentially allowing providers to buy their way into premium “fast lanes of service. This would have a chilling, if not deadly, impact on the diversity of content and innovation of new content. 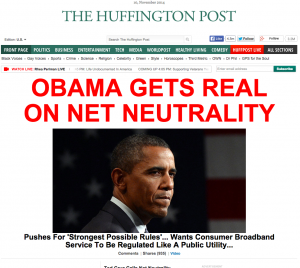 Today, President Obama urged the FCC to implement the “strongest possible rules” to protect a free and open Internet.” Perhaps his work this week with China on their closed Internet problem inspired him to make sure that our freedom to produce and distribute content on the Web is maintained and protected. The article included a copy of the letter, which is dated May 15th. The timing of the letter is curious. It says it is in response to photos which went viral last month after being published in Glenn Greenwald’s new book, “No Place to Hide”. The photos show NSA operatives in 2010 opening packages of Cisco equipment and inserting devices into the equipment. He’s right—customers trust Cisco to produce and deliver products that are safe to use; but that’s Cisco’s job, not the government’s. By now it’s clear that the pursuit of national security has led the NSA to engage in practices that most people deem to be excessive and intrusive. 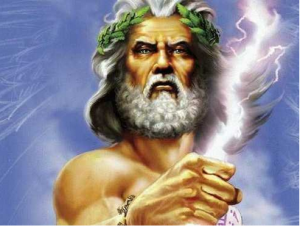 The leaders of most of the largest technology companies have written similar letters on the subject. 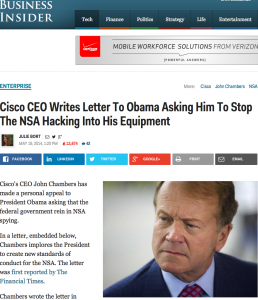 ( See: http://www.washingtonpost.com/business/technology/tech-executives-to-obama-nsa-spying-revelations-are-threatening-business/2013/12/17/6569b226-6734-11e3-a0b9-249bbb34602c_story.html). And as computer technology becomes even more ubiquitous with the coming IoT (Internet of Things), security of the equipment is becoming increasingly important. Also this week, five Chinese military officials were charged with hacking into the computer systems in U. S. firms, to give competing Chinese companies an advantage. Catching the five people involved was a great example of how the government can help secure our information technology resources, but equipment manufacturers such as Cisco need to design and deliver stronger, safer, more secure products. Cisco needs to design routers that are smart enough to detect when an unauthorized part has been installed . 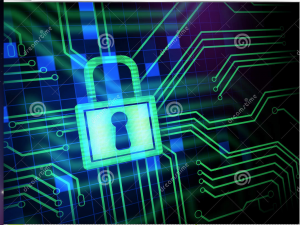 All products need to have extensive self-monitoring capabilities, to detect intrusions or tampering, and to alert when the unit is being used outside of expected ranges of processing ( for example, PCs that have been taken over by viruses and are being used for spam campaigns. or Denial-of-Service attacks. We don’t have to accept a technology infrastructure that includes pervasive hacking as a given. We need to expect–and demand –that hardware and software providers make products that protect themselves—and us. It should have been impossible for anyone—even the NSA– to open and tamper with a product without being detected by the product itself. On Thursday this week the FCC, led by former Comcast lobbyist, Chairman Tom Wheeler, proposed new rules that permit ISPs to charge content providers a fee to get faster and more dependable service than the other content that is being processed. Netfix has already paid fees to both Comcast and Verizon. This subject gets complicated quickly, but what it comes down to is that content providers who have lots of money and lawyers will be able to get preferred service from the ISPs, who have a monopoly on the “last mile” connection to our homes and offices . Comcast’s acquisition of Time Warner, which includes the old ISP AoL, will concentrate even more power in Comcast’s hands to leverage payments out of content providers. Verizon, which was formerly Bell Atlantic, which was from your friendly old Ma Bell monopoly, is filled with managers and executives who know how to use monopoly power to manipulate markets. At its simplest level: If one party–or group of parties –can buy preferred service from the ISPs, then other parties, who cannot pay the fees, will get degraded service. On any given evening, your Netflix movie may be streaming quickly and clearly, but your Massively Multiple Player world game may be stuttering, crashing and buffering.With this kind of power and control, the ISPs will be able to dictate who can start up a content-proving service. Facebook and You Tube are just a couple content providers that probably would not have made it if their service from the ISPs was slower and less dependable than the other content providers. 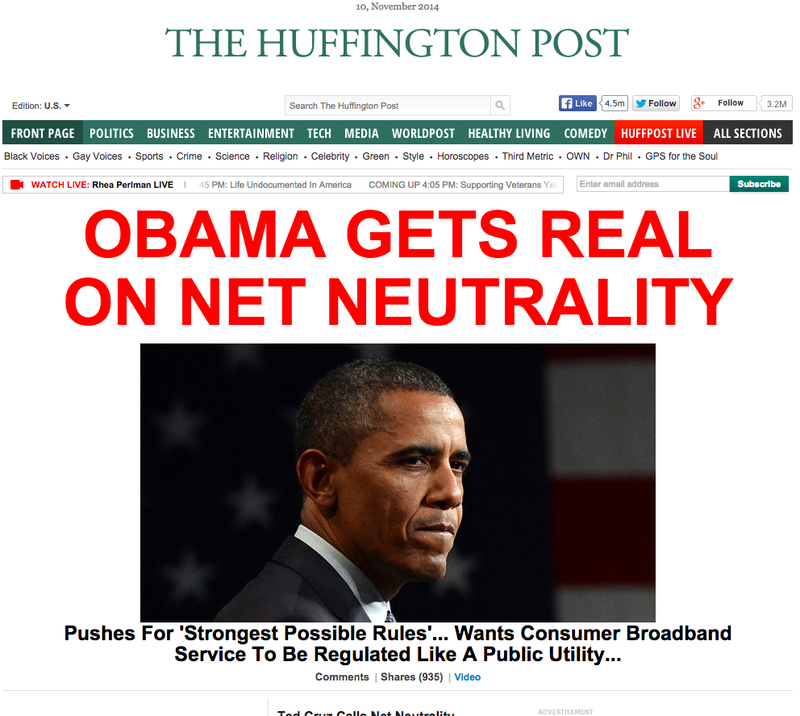 The days of a “free ” Internet are over, if this FCC ruling stands. In September 2013, when Samsung and others had first announced their wearable smartphone products (see our posting dated 09/12/13), the price was $300 per unit. 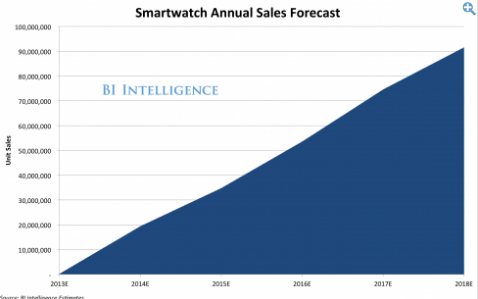 Business Insider Intelligence at that time was predicting the market for smartwatches would be $9 Billion by 2018. We postulated that $300 per unit was a prohibitively high price, and doubted the unit volume in the BI forecast. BI has now released a new market forecast, and it is based on an average per-unit price of $100.Nevertheless, the total market forecast remains constant at $9 Billion. And now they’re beginning to talk about the importance of “attach rates,” which refers to how many smartwatches can be sold as an extension of its smartphone. ( Hardware manufacturers used to focus on he attach rates for maintenance agreements, especially on PC products, which had thin margins.) People seem to dislike the bulky size of the smartphones, so newer products will have smaller screens. This puts pressure on the development of apps that fit the smaller screen, so we may see a trade-off ratio of size and price versus functionality, and the new cheaper models may not have enough value to justify even the $100 price. We’re still skeptical. 2012 and June 2013 , reported that 92% of the buyers used the Internet to search for homes, up from 90% last year and 71% in 2003. The report also indicated that 88% of the buyers used an agent. Interestingly, 42% said searching online was their first step in the buying process, while 17% said their first step was contacting an agent. In summary, buyers are using the Internet to search and agents to help with the purchase transaction. As various local markets lead the recovery in the real estate industry, realtors need to match the consumers’ requirements for technology and services. Consumers understand that purchasing a home is a complex transaction, one that requires expertise to protect against the risk of mistakes and to guide the process to a smooth and successful completion. Most homebuyers are tech-savvy enough to use property search applications to find potential homes to buy. Successful realtors include both requirements in their marketing strategies, and they provide home search (IDX) programs on their websites, so prospective homebuyers can search MLS listings and generate buyer transaction leads directly to the realtor. Successful realtors also provide a full set of services for buyers, both to achieve client satisfaction with the purchase, but also to generate future business (81% of the sellers used a full-services broker, and 63% chose the broker via a referral). Agents who used to think that representing buyers consisted of finding and showing them listings from the MLS now understand that they can rely on a good IDX system for some of the finding process, and they focus instead on responding to leads generated by the IDX, showing homes, and managing the purchase process for the buyer. IDX home search. Please contact us to arrange a free initial consultation. Congratulations! You’ve invested the time, energy, and resources to design and develop a website for your enterprise. You now have a “home “on the Internet—a virtual real estate. Website addresses are called “domain” names, and there are many similarities between a website and a home. If your site has been well-built with strong programming and software, it will withstand attacks from hackers trying to blow the house down. If it’s hosted in a high-quality server environment, this “good neighborhood” will provide uptime and security. Your website creates a good image with your customers and your competitors, but the best thing it can do is to help build your business. To do that, people have to find your site. There are about 200 Million domains registered. How do you get found among so many sites? Organic SEO ( Search Engine Optimization) or PPC( Pay Per Click)? Most people–including your prospective customers–find websites by using a search engine. Google is the most popular, with about 400,000 searches per day. As most people know, you can pay to have your website’s info displayed prominently on the SERPs (Search Engine Results Pages),while the rest of the page is filled with info about websites that appear organically—the search has found them, and no ad fee has been paid. If you have paid to have your ad appear, you will be charged every time someone clicks on the ad , which takes the person to your site. Thus the name, PPC—Pay per Click. The other websites listed–the organically-generated ones–will also take the person to their website, but there is no charge when that happens. Search engines are smart, and they remember. They’ll remember, for example, that today, when someone searched for “homes for sale in Montgomery County,” it found your site organically. Next time somebody does that same search, it will quickly post your website’s info. In fact, your info will gradually get listed higher and higher on the page. Your website builds equity in the organic search! If you use a PPC program, once you stop paying, you were not building equity—it’s like you were renting that spot on the page, not earning it. Once the PPC payment ends, it’s like you are brand new and your info goes to the back of the line. You can improve the performance of your website on organic searches by making it easier for the search engines to find you. Search engines are smart, and they have “spider” programs that crawl around the web gathering information… Cute, eh? Spiders crawling around the web? Spider programs look for info that will help them link searches to websites. So, they look for words and phrases that are typical of what people type into the search for box. Most of the time, people type in pretty simple words or phrases that are related to the target of their search. We call these words “keywords.” To make it easy for the search engines to find you, you need to place appropriate keywords in the content of your site. Picture the spider program scanning the pages in your site, reading what it sees. What words and phrases might jump out at it? For example, you might want to have titles on your pages and paragraphs, and place keywords at the beginning of the title. As you can see, the concept of keywords is simple. Next some work needs to be done to develop a program. The first step is to determine what keywords in your business processes that people will be typing —those things for which we are seeking prospects and leads. As we said above, for a realtor, it might be “homes for sale in Montgomery County,” or “homes for sale in Boyertown.” Determine the markets , products, and services, in which you want to compete most aggressively. What are our priority strategic market targets? Then, the next step is to imagine what words or phrases people would type into the “search for” box in the search engine to try to find websites for providers of those services or products—you and your competitors. Once you have determined what keywords the prospects will enter, then it’s simply a job of placing the selected keywords in the content of your site. As we mentioned above, you may want to use titles for pages or paragraphs, but just including them in the prose content will also get noticed by the spider programs. You should not sacrifice the quality of the writing in your content to include the keywords. The content has another, more critical job to do—-Attracting the prospect and motivating them to contact you. Once you have added the keywords to your site, they will start to work for you, and they will continue to keep working, 24/7/365——your website is doing the work! For Free! For those of you for whom instant gratification is too slow, however, there is one drawback to using an organic program as opposed to a PPC–Like most things with genuine value, it takes time for the organic, equity-building program to work. It can take up to 16-20 months for a keyword program to show results in where your info appears on the SERPs. With the pay-now PPC programs, you’ll see your ad placed very quickly. Expensive, paying a premium for immediate results vs, do it the old-fashioned way and working hard for lasting results that take a while . Renting vs. owning and letting your website home do the work. You can start today—Make a list of the keywords for your highest priority strategic markets. That’s a valuable exercise anytime. You can also help your website with its organic SEO work by adding a blog to your site . Keep your keywords in mind when writing the blog, which will act like hyper content for the spiders. Adding links from other websites will also help. Blazing Systems is a web services company. Please call us to arrange a free consultation for help in making your website work for you.